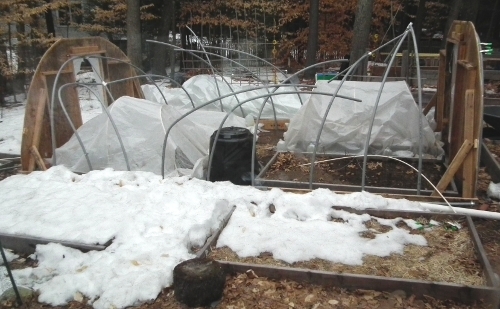 Some days ago I had a chance to run out and pull one side of the hoop house plastic out from under the leftover snow (it thawed some, finally!). It involved breaking up the huge slabs of ice that had formed inside the “hoop sloop” and pulling them out, then draining the melt water. You can see the pile of plastic – still intact, that woven stuff is strong! – behind the structure. It is still stuck in the ice and snow on that side. This took about an hour, at the end of which I was cold and sopping wet. And it started the rain. Still, I had just enough stamina left to cover the three beds with row cover (Agribon) and plastic. I am happy to report that these beds still have – miracle of nature! – living plants in them. They’re not exactly thriving, but they’re still there and will hopefully take off soon. 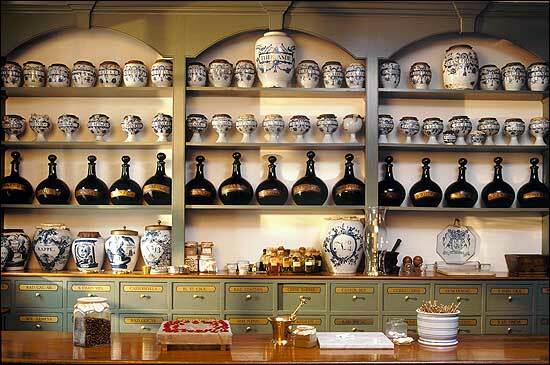 I came in and washed my freezing hands in a bowl of warmed up ginger tea – the tea I brewed from the ginger peels. Aaaaah! What’s Growing in the Basement?